Food preparation for modern cooks. The Zeal control range is a landmark range for Zeal, fulfilling the brand’s mission of providing simple, innovative and functional products for the kitchen. Zeal selected to work with Curventa due to our track record in delivering beautiful products that challenge market preconceptions. With no brief for this project, our extensive research study revealed that users want kitchen products to help with the everyday issues around food preparation. The Zeal control range has been so well received that Zeal has been able to penetrate the North American market with nationwide stores now stocking its products. We continue to work very closely with Zeal on its future product development and brand strategies. 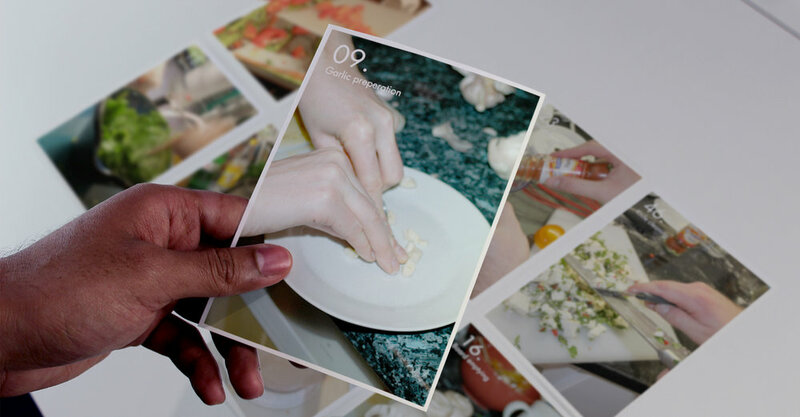 With no set brief from Zeal, we started with a custom-made research programme that delved into the issues users were experiencing whilst cooking. Together with reviewing the market, insights were gathered over a number of sessions with users where our design team observed them cooking. These insights were reviewed, ranked and validated by users themselves. From this research we defined the brief - to design a suite of concepts with simplicity and control at their heart. 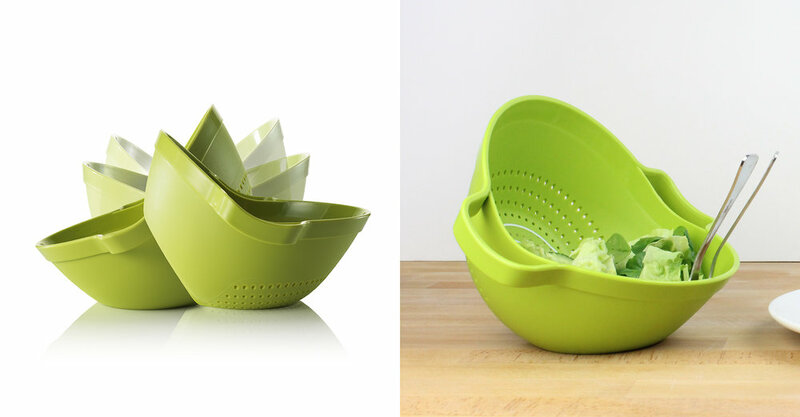 The colander features a simple dual functionality - drain on one side and serve on the other. The product has an effortless action that can transform how the modern cook performs everyday tasks. For instance, with salad, simply wash, tip, dress and serve immediately at the table. With the herb chopper, we found that the closer the user’s hand is to the steel blade the more control they have, which enables them to chop herbs extremely finely. This led to the creation of a unique handle design. The board then features an integral hole through which the chopped herbs can be scraped. The handle and board snap together magnetically, while the silicone rim ensures the board does not slip while in use and also acts as a blade protector during storage. Measuring 380mm x 280mm, this large chopping board acts as a centre point for food preparation. Once the food items have been chopped, the lips on the board’s sides guide the food towards the bull’s eye hole through which the items are dropped straight into a pan or bowl. 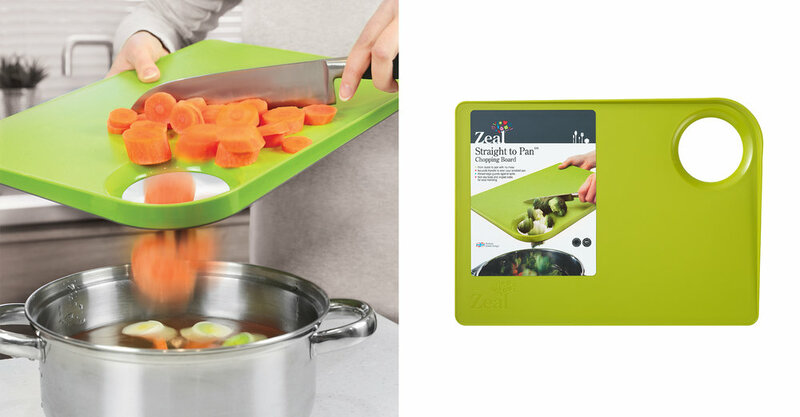 Consumers love this chopping board, and so do the buyers. It has become one of Zeal’s best selling gift items. With space at a premium in many modern kitchens we designed the thin boards to take up less space allowing users to stack multiple boards together. For the sake of hygiene, these boards are designated for specific food items like fish, vegetables or red meat etc. The lip at the back allows the board to be picked up easily and also gives extra grip and more control whilst chopping. Sharpness and safety do not always go hand in hand but this was the starting point for the knife range. The shield has been designed to keep the blade as sharp as possible as well as reducing the risk of injury when hunting for the knife in the drawer. 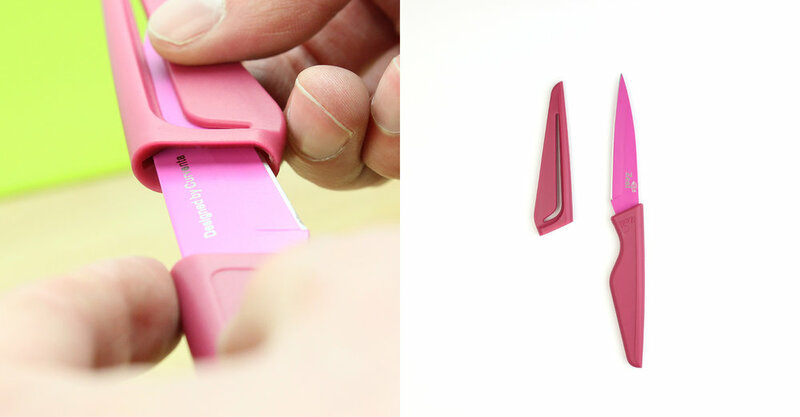 The coloured blade surface is treated to resist dirt and also highlights when the knife needs sharpening.